Is there life after Whitesnake? There might be for Micky Moody and Neil Murray. 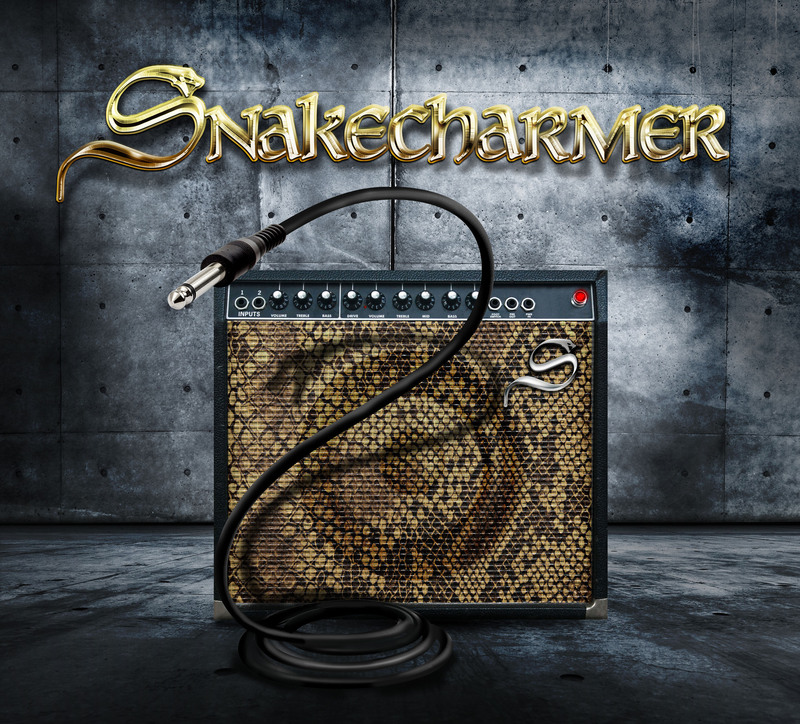 After an earlier attempt with Company Of Snakes, that didn’t quite deliver the goods, the former Snakes have regrouped as Snakecharmer. Musically there’s no surprises. Bluesy hard rock. So far so good. Where Company Of Snakes mostly failed because of the wimpy vocals, Chris Ousey does a better job, even if he’s no Coverdale. His voice does have a hint of Glenn Hughes to it, thankfully without the latter’s exaggerated histrionics. The band does a professional job and the songs are well crafted and quite catchy. Take “To The Rescue” for example, or the equally strong “Turn Of The Screw”. While overall the production is solid, the buzzy guitar sound is particularly grating for this style of music. Murray’s trademark bass sits quite prominently in the mix. Micky Moody and Laurie Wisefield do a great job on guitars, but does that come as a surprise to anyone? Quite enjoyable if not spectacular by any means. As much as I like the current incarnation of Whitesnake, I can’t help but wonder what a reunion with Moody and a return to the old sound would bring. The songwriting on this album is actually stronger than it was on the latest Whitesnake albums. Review by Sancho (he would lie to you, just to get in your pants). This entry was posted in Reviews and tagged Glenn Hughes, Micky Moody, Neil Murray, review, Snakecharmer, The Company of Snakes, Whitesnake. Bookmark the permalink. 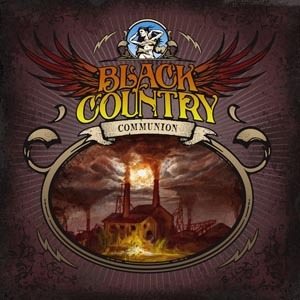 Yet another bold, confident, masterful release from “the future of blues rock”. Joe and Kevin Shirley retreated to Santorini Greece to seek new inspiration and to break in a brand new studio set in the cliffside. 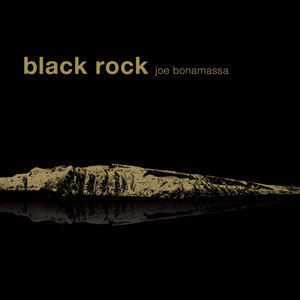 The result is the very mature “Black Rock” which comprises 5 Joe penned originals and 8 cover tunes. Four tunes include traditional Greek instrumentation, best of those is “Quarryman’s Lament” which is one of Joes best riff compositions yet, you will be humming this one; a lot. Joe’s vocal performance is also his best yet, and as always, plenty of snarly classic tone guitar riffage is evident, primarily on killer tracks like “Blue & Evil”, Bobby Parker’s “Steal Your Heart Away” and the great cover of Jeff Beck’s “Spanish Boots” . The highlight for Joe on this album is the participation of B.B. King on the Willie Nelson standard “Night Life”, and a great guest spot it is too, B.B. still rocking hard in his eighties and perhaps left just a little out of breath by tunes end. The most surprising inclusion however, is Joe’s take on Leonard Cohen’s poignant “Bird on a Wire”, replete with traditional Greek instrument embellishment. Overall, this is another positive step in Joe’s steep developmental process. Only qualm is that perhaps the production is perhaps just a tad too clean, not enough dirt left under the fingernails for a big rock small blues production. The guaranteed success of this offering will once again have the blues purists cringing, but Joe’s popularity continues to grow in leaps and bounds and rightly so. Well done Joseph….. I eagerly await the as yet officially unnamed “suppa groupa” project from Joe, Glenn Hughes, Jason Bonham and Derek Sherinian later this year, should rock hard. This entry was posted in Reviews and tagged black rock, Derek Sherinian, Glenn Hughes, Jason Bonham, Joe Bonamassa, Kevin Shirley, review. Bookmark the permalink. 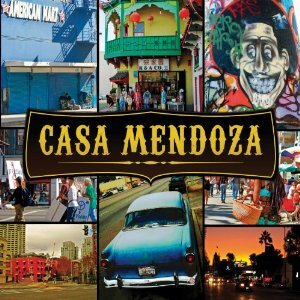 Marco Mendoza, bass player to the stars, has found the time to produce his second solo album “Casa Mendoza”. It’s an eclectic mix of funk, rock, fusion, latin etc garnished with lots of shreddy guitar and keyboard solos. Opening track “Living In The City”, a Stevie Wonder tune, wouldn’t be out of place on an older Chili Peppers album. It all just gets funkier along the way… Ballad “You” could be rather nice but then they go all Carlos on us. If you know Mendoza from his work with Whitesnake, Ted Nugent or Thin Lizzy, you’d probably better give this album a listen before buying. Rock is not the main ingredient in Marco’s mix. This album reminds me of a mix of Glenn Hughes’ more adventurous funk material with Santana. But less accessible. This entry was posted in Reviews and tagged Argentina, Glenn Hughes, Marco Mendoza, Santana, Solo album, Stevie Wonder, Ted Nugent, Whitesnake. Bookmark the permalink. Well then, there was no need for concern was there? Glenn sounds magnificent, Joe slashes and burns throughout; Derek adds timely keyboard flourishes and Jason whomps down a solid backbeat his dad would be proud of. This is one heavy slab of majestic top drawer rockness . The sucker takes three or four songs to get off the ground and then soars through the following onslaught, masterfully engineered by Joe’s maestro of choice these days, Kevin Shirley. “Sista Jane” is as close as you will ever hear Glenn and Joe to AC/DC territory. The compositions are surprisingly strong, given the short time frame utilized to produce this sucker. I have but one slight qualm. Joe, when noodling for his own pleasure, or shredding, has a tendency to rely on this really cool Eric Johnson phrasing riff. We get to hear that riff, however flawlessly performed, a tad too often here. Regardless, Joe’s performance here on six string, and vocally I might add (the fact that Joe can hold his own with an in form Hughes speaks volumes as to his emergence as THE premier rock-blueser on the planet) is superb. This, should they choose to make it so, IS a super group and this CD is a must have. The Trapeze standard “Medusa” is a thing of beauty to behold. Thanks guys for sticking to your guns as this slab almost did NOT see the light of day….. This entry was posted in Reviews and tagged Derek Sherinian, Eric Johnson, Glenn Hughes, Jason Bonham, Joe Bonamassa, Kevin Shirley. Bookmark the permalink. 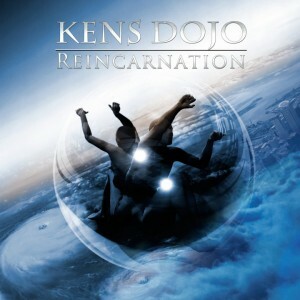 Ken’s Dojo is a project by Ken Ingwersen. A glorious unknown to me. Apparently he’s worked with several illustrious names over the years. Chesney Hawkes however? You’d get more street cred working with Aqua… In recent years Ken has been part of a production team that allegedly scored major successes in Europe and Asia. He’s also a member of Ken Hensley’s touring band. For this, his first solo album, Ken has opted for the rock approach. A gentle mix of prog and AOR with obvious pop influences. “Keeping The Flame Alive” gives a firm nod in the proggy direction, while ballad “I Surrender” could very well be a hit if only the mainstream media could pull their heads out of their asses for long enough. There are several guest musicians implicated, not all of whom will ring a bell. Glenn Hughes (excellent on “I Surrender”) and Ken Hensley are the biggest names. Ken is an accomplished guitarist who manages to steer clear of the clichés yet come up with interesting lines. Not all songs are equally strong (some, like “Come Alive”, could have done with a bit of careful editing), but there’s precious little potential for embarrassment. This entry was posted in Reviews and tagged Asia, Chesney Hawkes, Derek Sherinian, Glenn Hughes, Guitarist, Jason Bonham, Joe Bonamassa, Ken Hensley. Bookmark the permalink.